According to research from Project: Time Off, Americans left 705 million vacation days unused last year. In fact, 24 percent of Americans report not taking a vacation in a year or more. The Project: Time Off Coalition, an alliance formed by the U.S. Travel Association in 2013, is the organization that has uncovered this alarming trend, namely that the last 40 years has seen American vacation usage decline dramatically. For decades, Americans took an average of 20.3 days of vacation, but, in 2000, usage fell below the long-term average and has yet to rebound. The good news is that the latest data is trending upward, with 17.2 days used in 2017. The message the coalition is trying to send is that the impact of vacations is far-reaching. Not only do the millions of days that went unused represent a $225 billion lost opportunity, they also point to a society that is overworked and stressed-out. Conversely, the research shows that Americans who use most of their time off to travel are happier, healthier, less stressed and more likely to have been recently promoted. Aiding travel agents in their mission to convert more Americans to the traveling public pool is an initiative launched by The Project: Time Off Coalition, a “National Plan for Vacation Day,” which was celebrated for the first time earlier this year (and will be annual going forward) on the last Tuesday of January. According to representatives for the association, Americans universally say that their vacation days are important to them, and yet more than half of U.S. employees (54 percent) leave time on the table. Translation: Americans are in serious need of a break. One step to combat the issue is planning, say industry experts. Research shows that individuals who plan are more likely to use all of their time off, take more vacation days at once, and report greater levels of happiness at work and at home. Other findings of the study show that vacation improves workplace culture, retention and efficiency. The U.S. Travel Association is championing this particular finding by practicing what they preach. 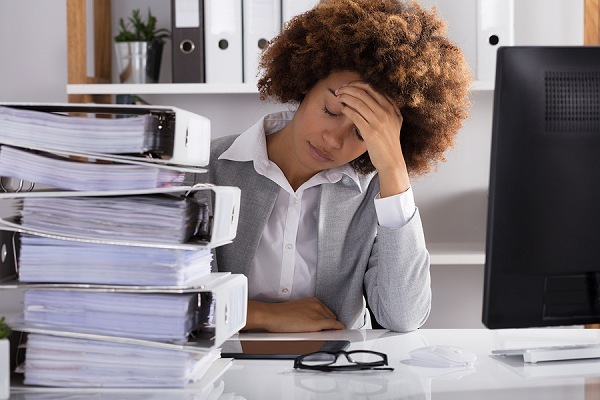 After an analysis of its employee vacation usage gave them a failing grade a few years ago, the association instituted an incentive program to encourage employees to use their vacation time. In a single year, the association went from 19 percent of its staff using all of their vacation days to 91 percent — and engagement and productivity skyrocketed as a result.